Within 10 years it is likely that China will become the largest economy in the world (as it once was) but few Brits know much about Chinese history. This series is brilliant and I hope will spark an interest. Rana Mitter who is presenting it is an engaging person. He is head at the China Centre in St Hughes. An Oxford D.Phil student , Beth Smith Rosser was the intern at the BBC researching for this series. My interest? 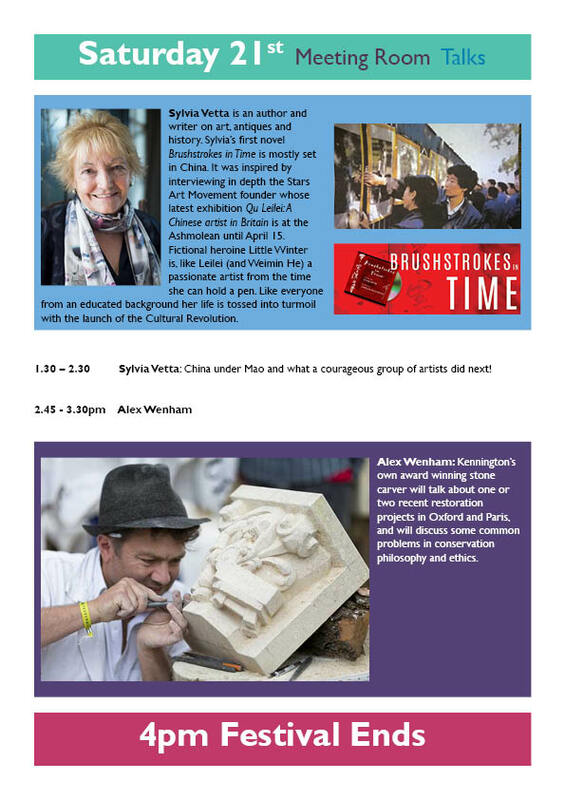 I’ll be talking about China between 1963- 1989 at Kennington Festival of Arts. 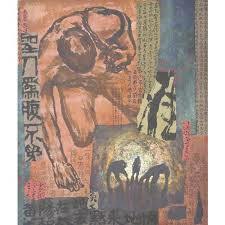 The Stars artist who inspired me to write Brushstrokes in Time is Qu Leilei. His exhibition at the Ashmolean ends this weekend. (Ai Weiwei was also a Stars Artist (Beijing 1979). There is more interest in China and Ai Weiwei in Germany where he now lives. 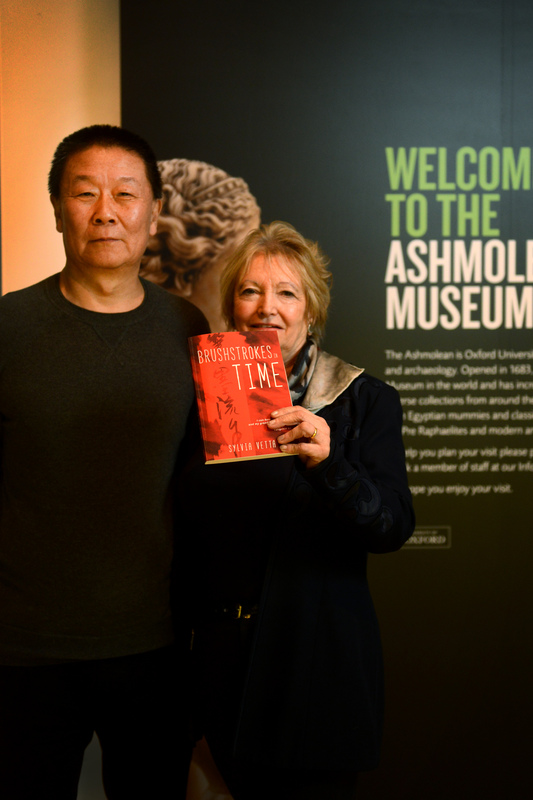 The German rights to my novel ( with their true story in the background ) Brushstrokes in Time has been sold to Drachenhaus Verlag and is currently being translated. Alex Wenham- in the pic- is the sculptor commissioned to make the statue of Colin Dexter. He lives in Kennington and will be talking at the Festival. QU LEI LEI A Chinese Artist in Britain. 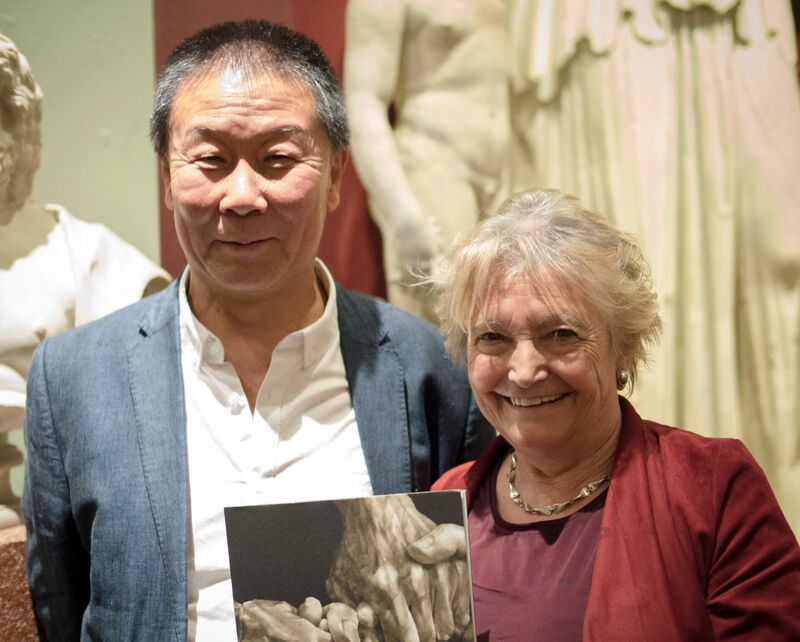 There are only 2 weeks left to see Qu Leilei: A Chinese artist in Britain I interviewed the artist monthly over 3 years to get the detail for Brushstrokes in Time. 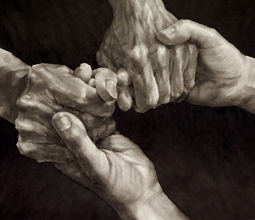 He is one the 5 founders of The Stars Art Movement (1979) and is a brave man as well as an incredible artist. Qu Leilei told me the story of the Stars ‘illegal’ show and their courageous march to Tiananmen Square demanding artistic freedom. His castaway feature below gives a glimpse into his epic life. I decided it was best told as NINE lives. Read it here. 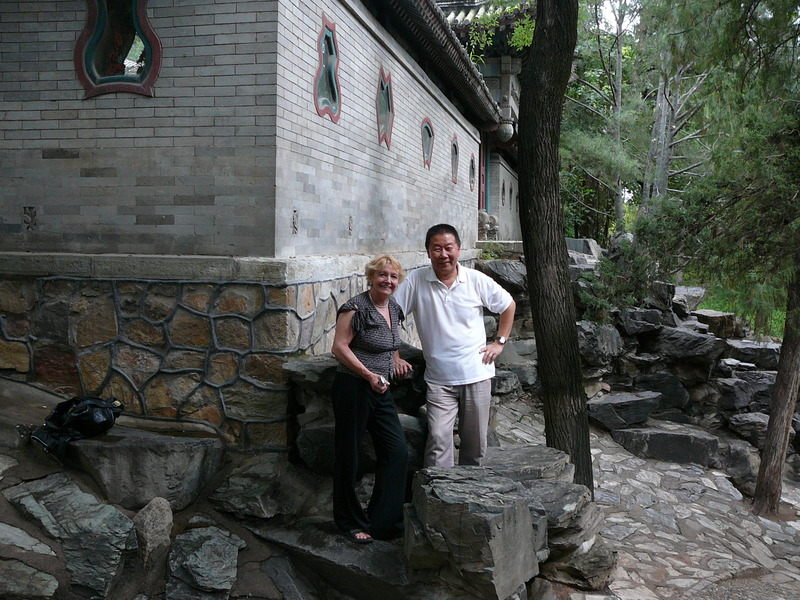 Researching for Brushstrokes in Time in Beijing with the artist .